The Witcher 3 got a PS4 pro patch today. People can finally play in 4K with High Dynamic Range (HDR) support without having to navigate seas of vegetation magically popping in as they travel. CD Projekt Red’s attempts to update The Witcher 3 to take advantage of the PS4 Pro have been troubled. The game first got 4K support (using checkerboard rendering) and minor improvements to overall visual quality on PS4 Pro in an update last October. 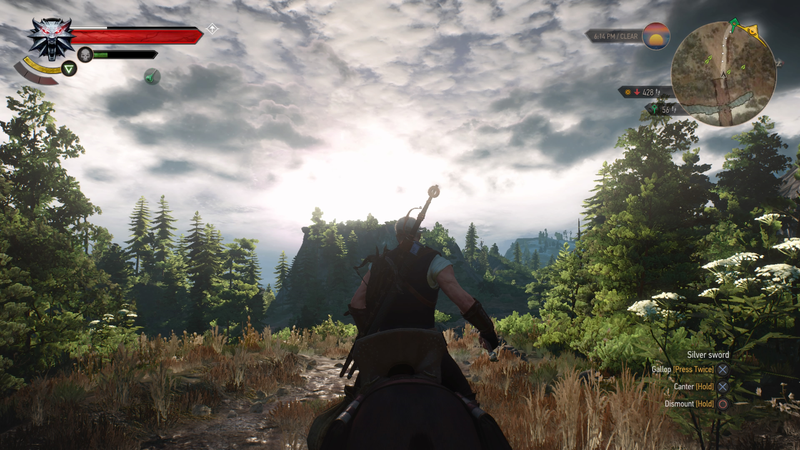 The Witcher 3 has always been a beautiful game, but everything looked more vibrant and smooth. Foliage especially, which the game is full of, looked noticeably better when compared to the PS4 version. Still, it didn’t offer the 60fps that the Xbox One X enhanced version did, nor the HDR support. After a period of quiet and then delays, an update adding HDR (though its implementation hasn’t been without criticism) and some further stability improvements finally arrived last month. Everything seemed complete, except for one minor issue: miraculously disappearing and reappearing plant life. Despite promising minor visual and stability improvements, April’s patch 1.60/1.61 adding HDR support severely compromised the game’s draw distances on PS4 Pro when playing in 4K mode. A hill half a football field away might appear barren, but as Geralt ran towards it grass, flowers, and even entire trees would pop into existence unexpectedly. It wasn’t good. The latest patch comes just in time, since The Witcher 3 will be celebrating its three-year anniversary on May 19. If you never got around to trying the game’s two DLC expansions, which combined effectively offer a whole other game, you should go do that.